Antoine Roegiers, Pol Bury, Jaques Charlier a.o. 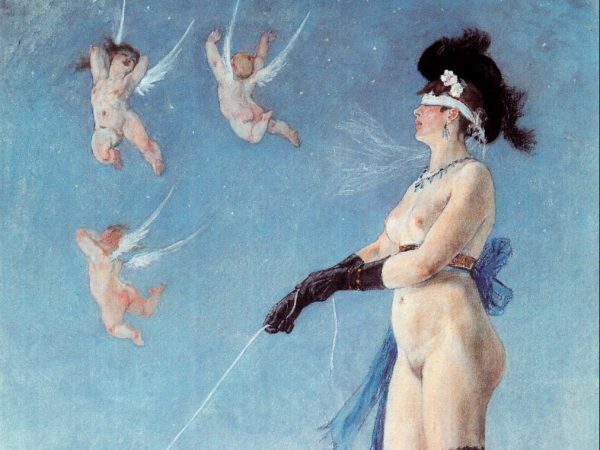 were invited to show works alongside the famous Pornocratès work by Félicien Rops, highlighting its undiminished modernity. The quintessential Belgian masterpiece will be shown in the form of about 20 newly restored prints, showing the different stages of the work in colour and put to film thanks to a restoration campagne from the patrimonial Federation Wallonia-Brussels. On view from March 24th till May 13th.